In the heart of West Sussex lies one of the most successful vineyards – not just in the county, but in the UK. “Molewood Consulting designed and implemented our stock control and inventory management in 2015, and we are now delivering exceptional business improvements, and with MC working on the next development of our digitisation”. 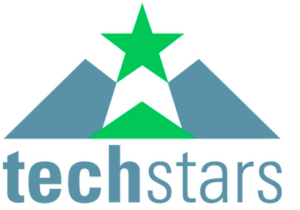 Techstars is one of the worlds largest startup eco systems. Molewood Consulting provides management and investment support to an award winning Techstar invested company. Apparier.com the prominent provider of customer pre payment solutions for the Worlds Best restaurants. “Apparier Unlocks the potential of the finest Restaurants in the World, Molewood Consulting has provided us with full business support from idea to investment through to delivery”. The World fastest growing accommodation marketplace for Students. Molewood Consulting has provided Finance leadership under contract, whilst supporting extensive fundraising activities which culminated in an investment of $60M IN 2016. Apparier was selected from around the World as a leading innovative food tech startup with exceptional international opportunity. Investors include Metro Group from Germany, Techstars from the USA and investment under discussion from various investors. Molewood Consulting is a shareholder and consultant advisor. A decade of support with Ubiqus across all business processes from company Acquisitions to sales and marketing strategy, product development and strategic management of business processes. Ubiqus is one of the largest language services companies in the World with many country offices. 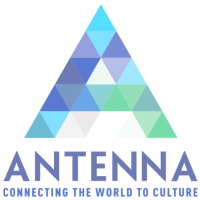 World leading provider of audio and visual guides for Art Galleries and museums around the globe. Molewood Consulting provided Finance leadership through a sale and due diligence process, where Discovery successfully exited the business through a sale to the Wicks group in New York. Premium venue owner and operator, running marquee brands including Mahikis, Whiskey Mist and The Brompton Club. “Molewood Consulting provides consultancy support when needed, and recently helped us develop internal strategic management roles to support the business”.